The year-round running McDonald’s Monopoly, is, in some circles seen as something of a joke. No-one ever seems to win anything on it, unless you’re perhaps partial to a gratis McFlurry. That’s if you’re lucky. It doesn’t stop people from trying to win – after all, we all love a freebie, or perhaps the lure of some extra cash. However, what happens when a seemingly too-difficult-to-win-anything-on game suddenly appears to become much more winnable? Alarm bells are raised and the FBI investigate. This is an incredible story. Read on to find out about Jerome Jacobsen and the McDonald’s Monopoly Scam. That’s even less than some of the lesser paying lottery franchises. So it was only going to be a matter of time before someone tried to manipulate this for their own gain. Then…what happens? The odds of winning increase exponentially! The McDonald’s Monopoly game was a worldwide phenomenon when it was launched in 1987. But within months there were even armed robberies on restaurants as demand for the tickets sent people into a frenzy, despite the poor odds, as we showed above. When the Monopoly game was set up by McDonald’s they failed to spot that the man they trusted and put in charge of overseeing the operation was basically swindling the game himself and pocketing millions in cash. However, little is really known about him, or about the case as it all came to a head and coincided with the events of 9/11 meaning the story took a backseat and largely became confined to the annals of history. There has, in the last few months been an outstanding investigation conducted by Daily Beast crime reporter Jeff Maysh. The results of this have been reported and have finally revealed just how big the scam became. Jacobson was initially hired to control the Monopoly instant prize tickets through his security job at a marketing firm he was managing at the time. The astonishing thing is that even though he was closely monitored and followed at all times and shadowed by an accountant as he made deliveries of ephemera for the games, they still failed to spot that he would nip off to the toilets to pilfer prize tickets. It wasn’t just stealing prize tickets though, over time he managed to develop a strong network of gangsters, friends, family, ex-drug dealers, gamblers…and most surprisingly even a family of Mormons and his local butcher to claim the prizes which included cars and $1 million cash prizes. In one small act of altruism, he sent a winning $1 million ticket to a children’s hospital in Tennessee, because he could. However, he also gave his step-brother – a man who wasn’t short of money a winning $1 million ticket. His stepbrother allegedly (depending on who you believe) either gave it to the Salvation Army or flushed it down the toilet. Jacobson was seen to be the model executive for running the franchise, making sure none of his employees at Simon Marketing (the firm McDonald’s hired to run the competition) could steal any of the tickets. He checked their shoes and often followed them to the toilets. 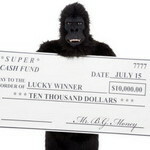 He stole his first cash prize ticket in 1989. So that means his criminal enterprise was in operation for over a decade before it was busted. When he was caught, he said he’d only done it “to see if he could”. It was after a party in which he’d given a $25,000 winning ticket to a family member that the scam began in earnest. After gaining a taste for ‘free’ money, he decided to make the operation bigger. He’d discovered that nobody in Canada could win. So, he would find people who were willing to pay him for the tickets. Some of which would mortgage their house to become winners. It was while doing this he met Gennaro Colombo, who claimed to be connected to New York’s Colombo crime family and began scamming on an industrial scale. Big wins were impossible for anyone who played. So Jacobson got other criminals involved. One of these was Andrew Glomb, a former cocaine trafficker based in Florida. Jacobsen recruited him to get new ‘winners’ on board – however, many of these had questionable backgrounds. However, when Colombo died in a head-on car crash, that was the catalyst for the scam to finally unfold. Colombo’s wife was almost destitute and told the FBI about her dead husband’s racket with Jacobson. It was then the FBI bugged Jacobson’s phone and quickly realized they were dealing with a multi-million dollar scam and created a team to gather evidence. 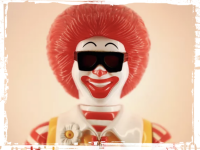 The FBI, by now in touch with McDonald’s said they wanted the next batch of competitions to go ahead as planned, even though it meant more scammers would win whilst others lost out. Other customers had got wise to this and were starting to openly challenge McDonald’s as to whether or not employees were stealing tickets. So the decision was taken to swap to the Who Wants To Be A Millionaire game instead. By August 2001, the FBI caught up with eight members of the gang and they were charged with conspiracy to commit mail fraud. The same spokesman revealed how far reaching the investigation had been: “It required the utilization of some of the most sophisticated and innovative investigative techniques available and the assistance of FBI personnel in dozens of cities across the country”. One of their favorite tricks was to pretend to be McDonald’s staff and present the prizes to the scam winners. They even had a plan to fly them all to Las Vegas and bust them into one group, together, but that was vetoed at the last minute. His hair had gone grey due, mostly due to the stress of the situation and knowing that the hundreds of winners could tell the authorities about his scam. He confessed to stealing 60 winning tickets worth $24 million. 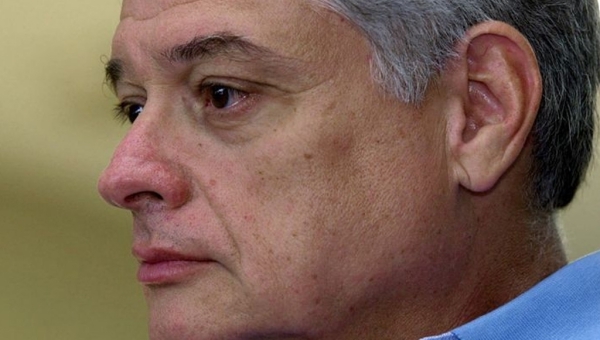 He agreed to pay $12.5 million in restitution. Glomb along with three other ‘winner recruiters’ received one-year jail sentences and had to pay back millions of dollars. Fifty people were prosecuted in total. It’s a shame that even though the odds were low and chances of winning, not great, that so many people were conned out of money. It’s also sad to see that one of the main protagonists in the whole saga, Glomb, can make flippant remarks about it all considering the severity of the case. Had the sad events around 9/11 not happened – we may have heard about this story much sooner and given it a lot more credence than it originally garnered. However, it’s good to see the story finally being played out to the wider public and that the people involved did get their punishment in the end. Learn the Anatomy of International Shoppers Lottery Scams. Hope You Read This. 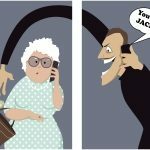 Lotto Ticket Scam Lets People Dodge Taxes. The Old Trick But Creative!